That ball came really fast and awfully close, so why are they all smiling? A selection of images from Thursday nights game between the Miami Heat vs Milwaukee Bucks in Round 1 Game 3 in Milwaukee, Wisconsin. 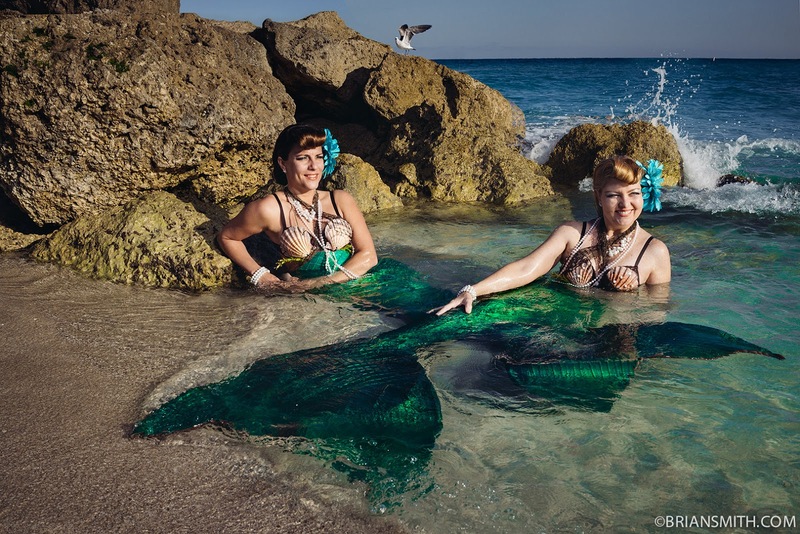 To see the Miami Herald photo gallery CLICK HERE. Michael, the nine-year-old boy next door, has always refused to wear shoes while playing outside. He would run around wearing sandals or go barefoot. Now he insists on wearing bright green neon Nike high top basketball shoes. Michael wears them so proud as he shoots under the hoop in his driveway. He loves them so much his grandfather bought him three pairs. I wondered what made him change. Recently, while photographing the Miami Heat’s NBA star athlete, LeBron James, I spotted his flashy green shoes streaking across the basketball court. I got my answer. I witnessed the power of influence on our children by professional athletes. Brian Smith photographed the Miami Mermaids on Miami Beach for Sony's Chain Reaction: A Story in Four Images. Also creating their own images for the project are Sony Artisans Matthew Jordan Smith, Cristina Goettsch Mittermeier and David McLain using Sony cameras. Brian used the Sony Cyber-shot DSC-RX1 Full Frame Digital Camera. 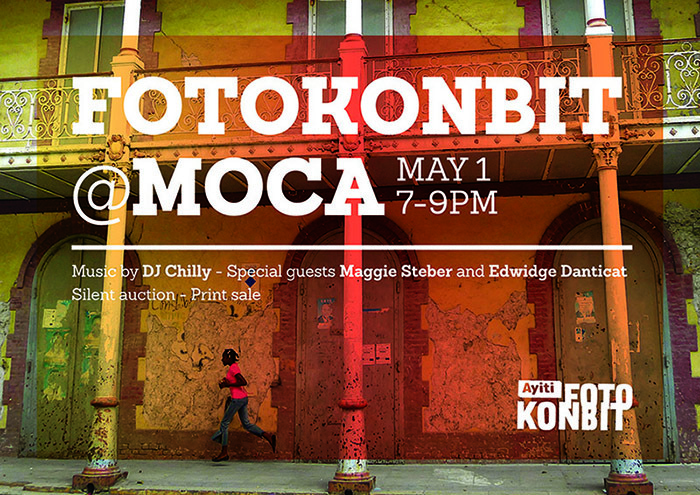 In honor of Haitian Heritage Month, MOCA will feature an evening dedicated to the work of FotoKonbit, a non-profit organization that teaches photography to adults and children in Haiti, empowering Haitians to tell their own stories through photography. 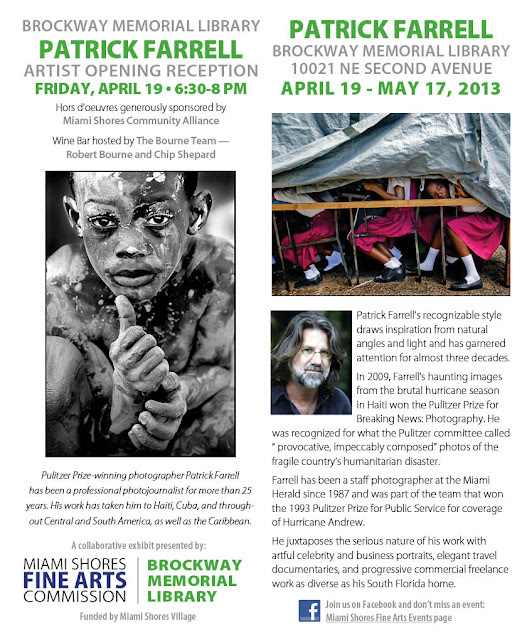 Come learn how you can help this important initiative and get a view of Haiti through the eyes of its own people. 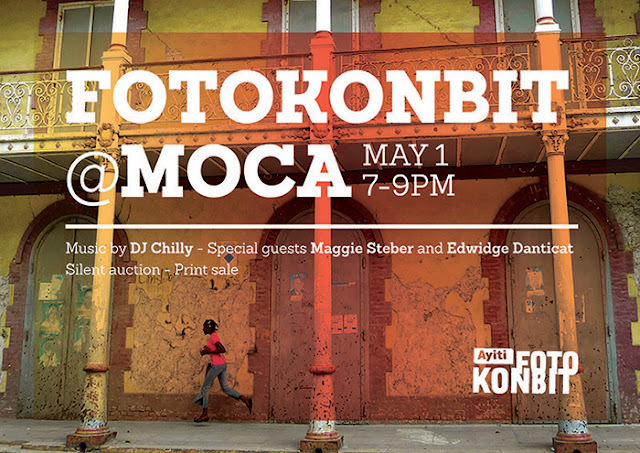 Special guests Maggie Steber and Edwidge Danticat. Photographic exhibit by Pulitzer-Prize winning Miami Herald photojournalist Patrick Farrell featuring dramatic imagery from Haiti and the Caribbean at Brockway Memorial Library Friday, April 19 from 6:30-8pm in Miami Shores, 10021 NE 2nd Avenue. 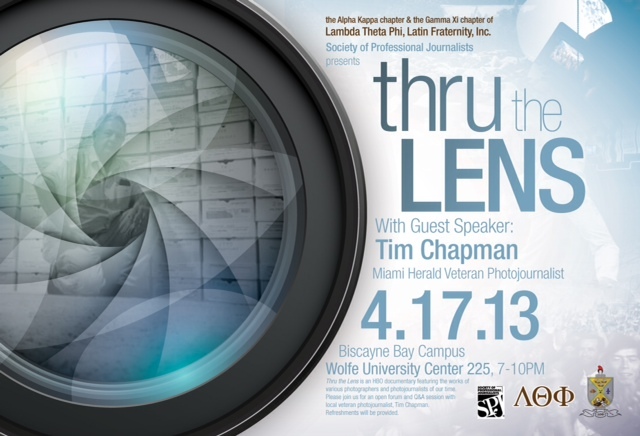 Thru the Lens with guest speaker Tim Chapman, a former Miami Herald photojournalist, is presented by The Society of Professional Journalists and The Alpha Kappa Chapter & Gamma XI Chapter of Lambda Theta Phi, Latin Fraternity Inc. Wednesday April 17, 2013 at 07:00 pm at the Biscayne Bay Campus of Florida International University, Wolfe University Bay Campus Wolfe University Center 225, 3000 NE 151st Street, Miami. 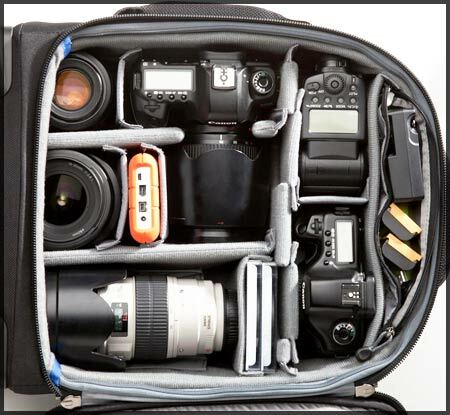 For a limited time Think Tank Photo is offering the incredibly lightweight and compact four-wheeled rolling camera bag, the Airport 4-Sight, at just $199.75 after mail-in rebate. That's $50 off the regular MSRP of $249.75. 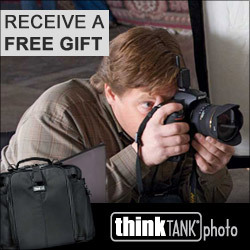 The savings continue as they are now offering free FedEx Ground shipping on all orders (not just for the 4-Sight) delivered domestically within the U.S. when you order $75 or more at ThinkTankPhoto.com. 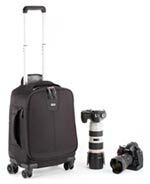 Think of the last time you hauled your gear through an airport concourse. Walking a 4-wheeler alongside one's self is far easier than pulling it behind you or carrying it over your shoulder. Putting the weight on all 4 wheels eliminates arm strain and makes rolling effortless on smooth surfaces. On thick carpet, the 4-Sight leans over as a traditional 2 wheeler. Additionally, it has the added benefit of rolling sideways to effortlessly navigate tight spaces (such as airplane aisles). 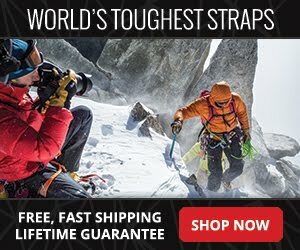 Truly, a more intelligent way to (not) carry your gear! If you have questions or would like to place your order over the phone, please contact via Toll Free at 866-558-4465 ext 1 and please use my affiliate code AP-269 to add a free Think Tank Photo product to your order. The Coral Gables Museum invites YOU to submit your photograph for a chance to exhibit at the Museum and win cash and prizes, including a grand prize of a Leica camera! 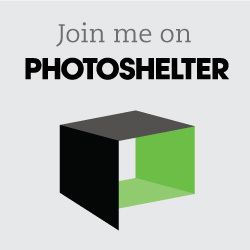 This is a skill-based photography contest open to all ages. This contest will culminate in an exhibit at the Coral Gables Museum in summer 2013. The objectives of this contest are to invite the public to explore and examine the City of Coral Gables through a photographic lens, as well as to recognize local talent. Awards will be determined by a professional jury and a public vote. Photographs must showcase outdoor beauty in Coral Gables. The primary subject of the image must be of natural elements. Coral Gables is home to Fairchild Tropical Botanic Gardens, Matheson Hammock Park, The Coral Gables Waterway and tree-lined boulevards. Take your pic! Photographs must capture events happening in Coral Gables such as Carnaval on the Mile (3/2/13), Coral Gables Farmers Market (every Saturday though 3/16/13), John Martin's famous St. Patrick's Day Block Party (3/15/13) or any lectures, concerts or special events at The Coral Gables Museum! Please check our Museum website andthe City website for more listings. Photographs must capture architecture in Coral Gables. Entrants may focus on any architectural style from Mediterranean Revival to Modern. Please specify the location in the title or description. Photographs must showcase posed or candid portraits of a person or people who represent Coral Gables, be they neighbors, families, business owners, sports teams, community leaders or politicians. Last year's entries included shoppers on Miracle Mile and quinceañeras at the Country Club Prado Entrance. Photographs of anything having to do with golf, one of Coral Gables' most popular sports. This special category celebrates our upcoming Mini Golf exhibit. Several local architecture and design firms are creating putt-putt holes that will be installed in the Fewell Gallery so that visitors can actually play golf in the Museum this summer! To enter the contest and for further information CLICK HERE! MELVILLE, N.Y., April 4, 2013 – Canon U.S.A., Inc., a leader in digital imaging solutions, today announced the opening of its service and support center in Ridgefield Park, New Jersey. This facility is located just across the George Washington Bridge outside of New York City, and will provide comprehensive product repair and maintenance services for the growing customer base of Canon’s professional imaging products. The Ridgefield Park on-site repair operations include state-of-the-art camera and lens dark rooms, Canon's most advanced adjustment and calibration equipment, spare parts inventory, and an experienced repair staff that will work to quickly return Canon's professional products to their original factory condition and operation. This new facility, available exclusively for Platinum and Gold level members of Canon’s Professional Services (CPS) program, including owners of Cinema EOS products, and broadcast lens clients, confirms Canon U.S.A.’s commitment to providing personalized and local service and support to imaging professionals in the New York/New Jersey metro region. This facility is Canon’s second service facility exclusively available to professional clients, joining the Canon Hollywood Professional Technology & Support Center that debuted in the heart of Hollywood, CA, early last year. Both facilities provide factory quality repair and maintenance service for Canon's extensive lineup of professional-grade cameras, including EOS Digital SLR cameras, Cinema EOS cameras, and high-definition camcorders. All of Canon’s professional lenses, including EF series photography lenses, Cinema lenses, and broadcast and studio lenses are also supported at this new facility. An advance reservation is required for all service and support requests handled by the Ridgefield Park, N.J. facility. Canon Professional Services (CPS) Platinum and Gold level members can make a reservation via the CPS hotline by calling 1 (877) 277-8122. Owners of Cinema EOS, professional video cameras and broadcast lenses should call 1 (855) CINE EOS to schedule an appointment. Additional camera and lens service facilities for both professional and consumer clients are located in Jamesburg, N.J., Irvine, C.A., and Newport News, V.A. 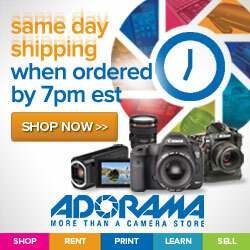 Each of these facilities operates with the same Canon speed and quality that is unrivaled in the industry. By the end of the year, Canon plans to further expand its local service center presence to the Midwest with the opening of a new service and support facility to support imaging professionals in the Chicago market.About Canon U.S.A., Inc.
Canon U.S.A., Inc., is a leading provider of consumer, business-to-business, and industrial digital imaging solutions. With approximately $40 billion in global revenue, its parent company, Canon Inc. (NYSE:CAJ), ranks third overall in U.S. patents registered in 2012† and is one of Fortune Magazine's World’s Most Admired Companies in 2013. In 2012, Canon U.S.A. has received the PCMag.com Readers’ Choice Award for Service and Reliability in the digital camera and printer categories for the ninth consecutive year, and for camcorders for the past two years. Canon U.S.A. is committed to the highest level of customer satisfaction and loyalty, providing 100 percent U.S.-based consumer service and support for all of the products it distributes. Canon U.S.A. is dedicated to its Kyosei philosophy of social and environmental responsibility. To keep apprised of the latest news from Canon U.S.A., sign up for the Company's RSS news feed by visiting www.usa.canon.com/rss.